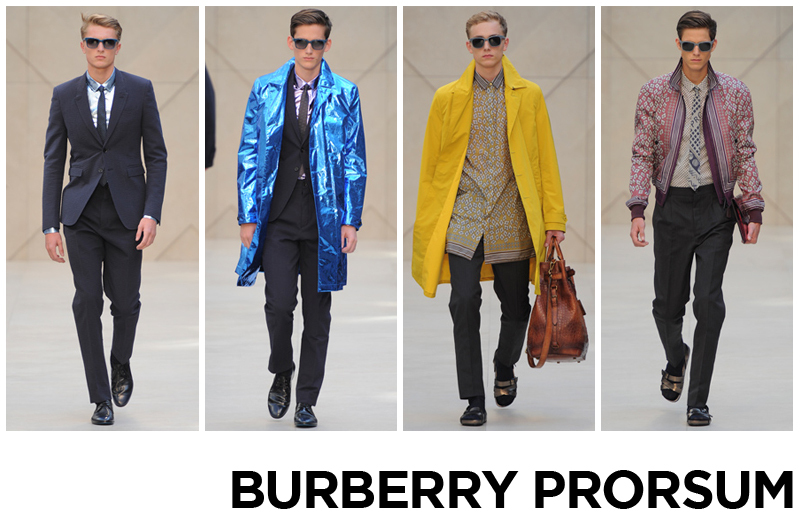 If there is one fashion house who truly understand the meaning of re-invention, it would have to be Burberry. Christopher Bailey’s Spring Summer collection, titled, Come Rain or Shine showed a step in a more glitzy direction for the 156 year old global brand. Rather than focussing on the heavy-weight parkas and trench coats they are known for, Bailey explored lightweight cabans in vibrant metallic silks. Suits were cut in dark seersucker fabrics with a silhouette slightly more relaxed than SS12. Micro-ikat and geometric diamond prints in washed-out hues appeared on bomber jackets and long-shirts paired with metallic skinny jeans. The metallic fabrics also found their way into the accessories too as seen in the leather iPad cases and summer carrier bags. 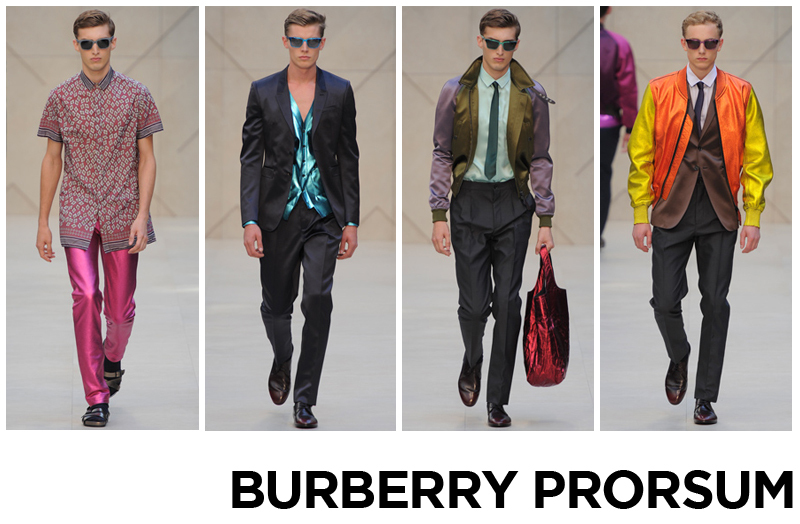 Bi-colour bomber jackets in vibrant satin and metallic leather tones ended the show on a high note. Bailey succeeded in presenting a collection that teetered expertly along the lines of taste without falling head first into vulgarity.